So you want to write a blog. Your business needs it, and you want to try your hand at it. Perhaps you’re a writer by trade, or just by hobby. Or perhaps you just write as work or studies necessitate. At this point, it’s come to the fore that you need to join the masses and produce a regularly-scheduled blog in order to promote yourself, and you want to try the writing on for size. But smack! You’re faced with writer’s block. How do I start? What am I even trying to say? To whom am I writing? No worries. Here are some tips for finding your blogger voice, and determining whether you truly want to be the one doing the writing. How do I want to be the same? How could I be different? What do I like about my competitors’ messages? Using the above format, jot down your ideas for section B only. List them, without describing them yet. Oh, you’re wondering about the title, that line of utmost importance? Feel free to come up with some ideas at this stage, but leave the tweaking on that crucial aspect for last. 3. Just write. By far, these two words are the most valuable for anyone to get started writing. For the first round, the idea is to not care about grammar, nor syntax, nor spelling. Do not care about perfection. Choose the focused topic, and just. write. Once you’re done just. writing., give it a once-over for grammar/syntax/spelling, but NOT for content. Then, leave it to the side, ideally for a day or two, and at the very least a few hours. You want to come back fresh. 4. Return. Now it’s time to come back to your writing for the second round on Section B. Here’s where the juices can really start to flow. The key: Read your writing out loud. Hearing your writing helps you fill in gaps, fix grammar/syntax, and determine if anything needs rewriting for clarity or expansion. Then, read it to a trusted listener, who might have other questions. If you feel you’d like to write from your own voice, then make sure it feels like you speaking. On the other hand, you might prefer to “act” out a different voice – a veritable ghostblogging of yourself. 5. Introductory and Concluding Paragraphs. Once you have the meat of your blog written (Section B), you can give full attention to how you’d like to introduce it and conclude it. Section B is often more technical, whereas the intro and conclusions can show more of your personality. For the concluding paragraph, summarize your points, and leave a sweeping take-away thought. Again, ask yourself what a reader would like to come away with after reading your blog. Remember two mindsets for writing blogs: Talking with people, not at people, engages effectively. And being personable – while remaining professional – draws people in at a comfortable level. Once you’ve tried out this blogging thing, you can better decide if you want to continue being the writer for your own blog. If not, for whatever reason, it’s okay – outsource the ghostblogging! You can use your own byline, or create a ghost byline. No matter whether the writer is you or someone else, the most important factor is that you feel like it represents your business in the best way for your audiences. 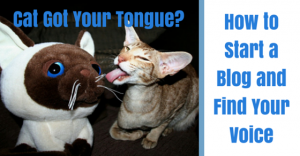 Even if the cat got your tongue, you’re about to get it back. Say meeoow to that! As an entrepreneur, you surely understand the importance of being present on social media but you may not have lots of time to spend on each platform. You are busy with providing your customers with the best service and highest quality products, online and offline marketing and a million other tasks which go along with being your own boss. 1. 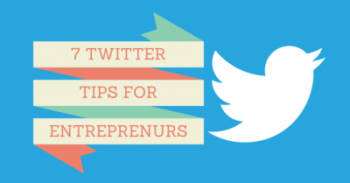 Schedule your tweets – You can’t possibly be available and tweeting all the hours that your customers are online. Decide when the best time is to send out certain tweets and schedule them using a Twitter client such as Hootsuite or Tweetdeck. Scheduling is also an excellent way to say something more than once. Important tweets should be set to go out a few times (with big breaks in between) so they can be seen by different eyeballs each time. Remember that each tweet needs to be worded differently since Twitter doesn’t allow duplicate tweets. 2. Engage with thought leaders – In order to reach a wider audience, connect and engage with the tweeters in your niche who are vocal, followed by many and are considered to be experts in their field. Find these thought leaders either through Twitter searches or by visiting key websites and blogs in your niche and clicking on their Twitter button. Build an honest and personal relationship with these thought leaders. That requires going beyond favoriting and retweeting. Talk to them! Use their @username, and say something thoughtful about what they tweeted. One day you may discover they have retweeted you to their followers. 3. Listen to what people are saying about your brand and niche – Twitter is not only a broadcasting tool. It’s also an excellent way to keep track of what people are saying about your business and niche. Set up a constant search for a specific keyword, your brand name or a common hashtag on Tweetdeck or Hootsuite. Check periodically and respond where necessary. Report and track to see trends and pinpoint problems. 4. Tap into hot topics and lively discussions – Use a service like Topsy or Social Mention to find out what’s being talked about on social media at any given time. Find a way to connect these topics to your industry or brand and create interesting content that will draw in new readers. 5. Retweet interesting content – Retweeting may feel like lazy tweeting, but it’s actually one of the best ways to get noticed by other users. Most users check their mentions regularly, so they see when someone has retweeted them. When they thank you for your retweet, treat this as an invitation to start a conversation (preferably by telling them what you liked so much about what they posted). Even if they don’t respond, they are likely to check out your profile and may start to follow you. Besides connecting with this one user, you have also shared quality content with your followers, who will appreciate the value you are providing. One caveat: do not share content you haven’t read (or at least skimmed) since headlines can be misleading. 6. Generate leads – Offer white papers, e-books, videos or product samples and capture the e-mail addresses of each person who accesses the content. You can also hold webinars or in-person events which you promote on Twitter and utilize to generate more leads. Tweet often about the availability of this content and be sure to follow up with these leads who have expressed interest in your brand. In addition to keeping in touch with prospects via email, engage with them on Twitter to keep your brand in front of them while they are still undecided. 7. Offer promotions through Twitter – Twitter can also be a great platform for offering discounts and coupons to your followers. Offer deals to anyone who clicks on a link to a landing page or provide them with a coupon code to use at checkout. You can also run a contest on Twitter which requires users to retweet and help spread the word about your business. Twitter is a valuable listening and advertising tool. But it’s easy to get sucked into it and forget that you are there for business purposes. It’s also easy to get discouraged quickly and abandon it altogether. It is important to limit the amount of time you spend on Twitter and use your time there wisely and efficiently. It’s also vital to remember that Twitter is more of a marathon than a sprint. Keep at it regularly and the benefits will become apparent.